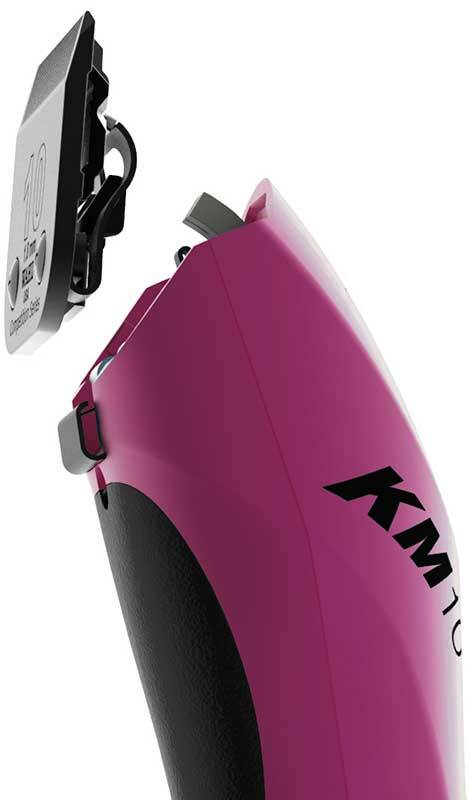 Wahl’s KM10 is a heavy duty 2-speed professional clipper designed for tackling the toughest animal coats with ease. Ergonomically designed to fit comfortably in your hand, the KM10 is lightweight (12.3 oz.) and balanced to prevent wrist fatigue. The KM10 runs quietly to keep noise-sensitive animals comfortable and calm. The Brushless Motor has been engineered to run cooler, quieter, and provide more power and torque. These are amazing. Light and powerful. Bought with the student kit and was totally worth the investment. I'm have to repurchase these because a dog chewed through the cord. But I have no problem doing so because if it weren't for that, my original KM10 would have lasted a lot longer.